It was Leoncavallo’s luck to have a magistrate father whose tale of a real-life crime passionel gave him the plot for Pagliacci, the only one of his 12 operas and 10 operettas to survive in the repertoire. But it sometimes seems like the only bit of luck he ever had. Certainly the fact of being born a year after Puccini didn’t help. Having entered the Naples Conservatory in 1866, at the age of 9, Leoncavallo graduated 10 years later to Bologna University, where he fell under the influence of the poet, and passionate Wagnerian, Giosuè Carducci. He soon wrote both the text and the music for his first opera, Chatterton (on the life of the Bristolian forger, Wordsworth’s ‘marvellous boy’) and went on to write the texts for several more of his own operas, as well as for some by other composers. Discouraged by his inability to get Chatterton staged (it was not finally premiered until 1896), he lived abroad for many years, mostly in Egypt and Paris. It was while earning his living as a pianist at café-concerts in the French capital that, in 1888, he met the great baritone Victor Maurel, Verdi’s first Iago, who arranged for him to be taken on by Verdi’s publisher, Ricordi. The latter, however, seemed more interested in Leoncavallo’s literary talents than his musical ones and persuaded him to write the text for Puccini’s Manon Lescaut. The two composers soon fell out, a scenario that was to be repeated even more spectacularly a few years later with La bohème, when Leoncavallo reacted to Puccini’s rejection of his draft libretto by deciding to compose his own Bohème in direct competition. Puccini, of course, finished his version first, leaving Leoncavallo’s to limp onto the stage, and into near-total obscurity, some 15 months later. 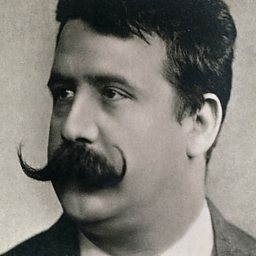 By then Leoncavallo had already scored his one and only enduring success, with Pagliacci, which Toscanini had premiered in Milan, in May 1892, with Maurel as Tonio. Ironically, given that he had dashed it off in a quick attempt to cash in on the fashion for verismo set by Mascagni’s prize-winning Cavalleria rusticana of 1890, even Pagliacci is still best remembered only as the back end of the double-bill popularly nicknamed Cav & Pag. Of Leoncavallo’s later operas, none took a hold in the repertoire. They include Zazà (1900), a back-stage tale of French music-hall life; Der Roland von Berlin (1904), commissioned by Kaiser Wilhelm II to glorify the Hohenzollern dynasty; Zingari (1912), a setting of Pushkin’s Gypsies written for the London Hippodrome; and Edipo re, a posthumously completed grand opera on Sophocles’ Oedipus rex, premiered in Chicago the year after the composer’s death, with Titta Ruffo in the title-role. 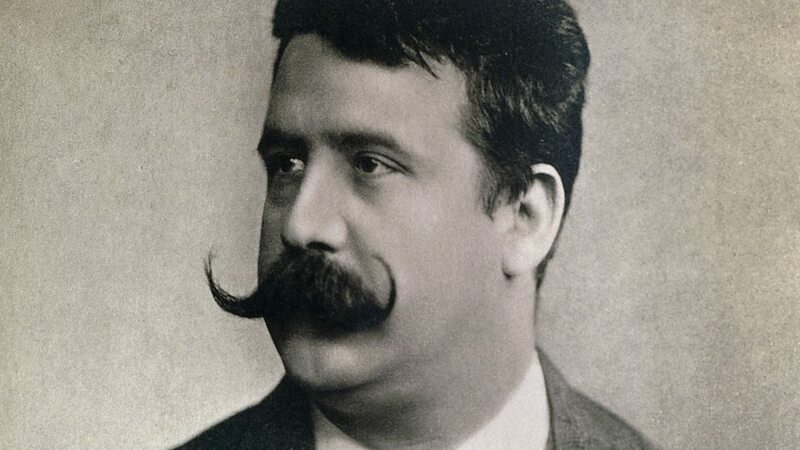 Of Crepusculum, the would-be Wagnerian ‘epic poem in the form of a historical trilogy’ set in the Italian Renaissance, that Leoncavallo had first planned as a student in Bolgna, he only ever completed the first part, I Medici (premiered in Milan in 1893). Besides Pagliacci, his most enduring legacy is the delightful song ‘Mattinata’, one of the earliest works specifically commissioned for the gramophone and a popular recital number with Italian tenors ever since Caruso recorded it, with Leoncavallo at the piano, in 1904. Ruggero (or Ruggiero) Leoncavallo (23 April 1857 – 9 August 1919) was an Italian opera composer and librettist. Although he produced numerous operas and other songs throughout his career it is his opera Pagliacci (1892) that remained his lasting contribution, despite attempts to escape the shadow of his greatest success. Pagliacci: "Recitar... Vesti la giubba"
I Pagliacci - Si può? si può? Signore! Signori! La Nuit de mai - symphonic poem; no.2 Largamente - Comme il fait noir dans la vallee!